Every week we put some words together in the form of a Group Poem. 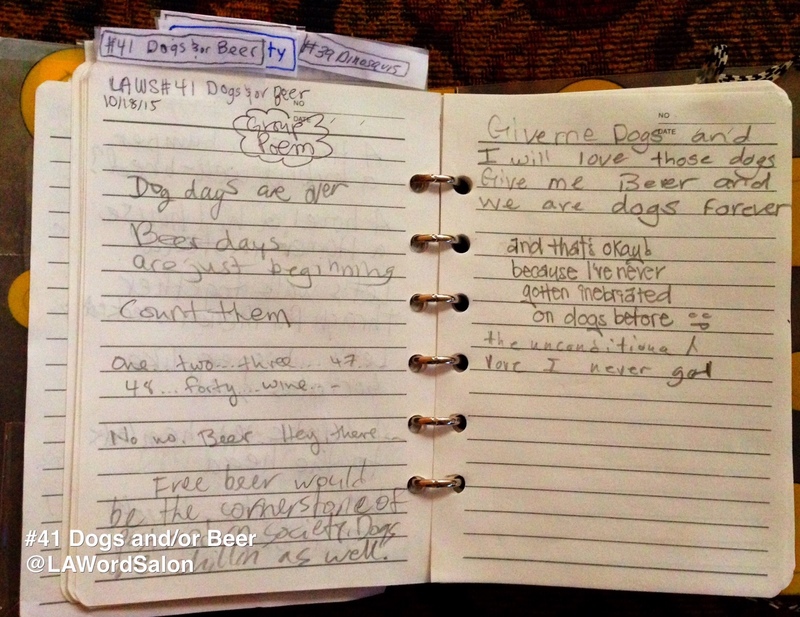 Here’s our words from last Sunday at LAWS #41 Dogs and/or Beer! ——> The theme for this week’s LAWS #42 El Diablo y/o California. Join the event! 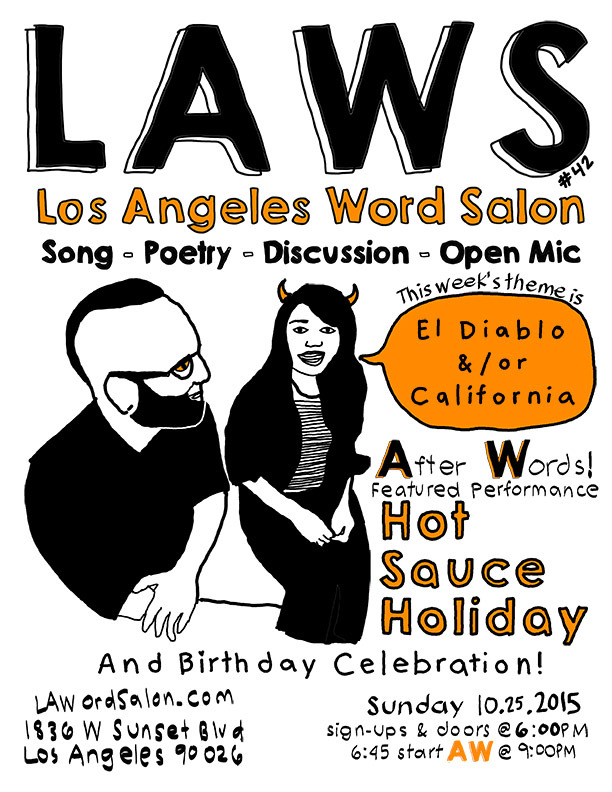 ← LAWS #42 El Diablo and/or California w/ Hot Sauce Holiday featured [A]fter[W]ords is this Sunday in #echopark!